Site search is one of the most effective ways to increase engagement with your site. That little search box sitting there on your home page is a gold mine, waiting to be tapped. 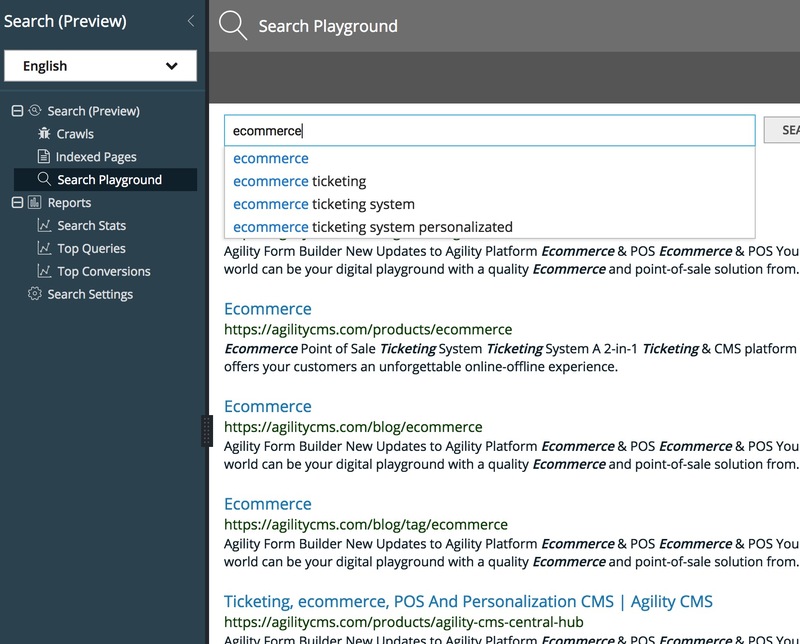 Setup is easy - Agility crawls and indexes the pages on your site based on your sitemap, and you have complete control over your index. Metadata such as the OpenGraph Image, Category, and Language are all respected, with the ability to define custom metadata selectors coming soon. Crawls happen daily or on demand. You can also re-crawl the site at any time to pick up pages that have been changed. The index is kept automatically up to date. You can see all the pages in your index, including any PDF, Word, Excel, or PowerPoint files that are linked from your Media and Documents section. You can remove a page from the index, or mark it to be re-crawled. You can tell the render time and language of each page, too.